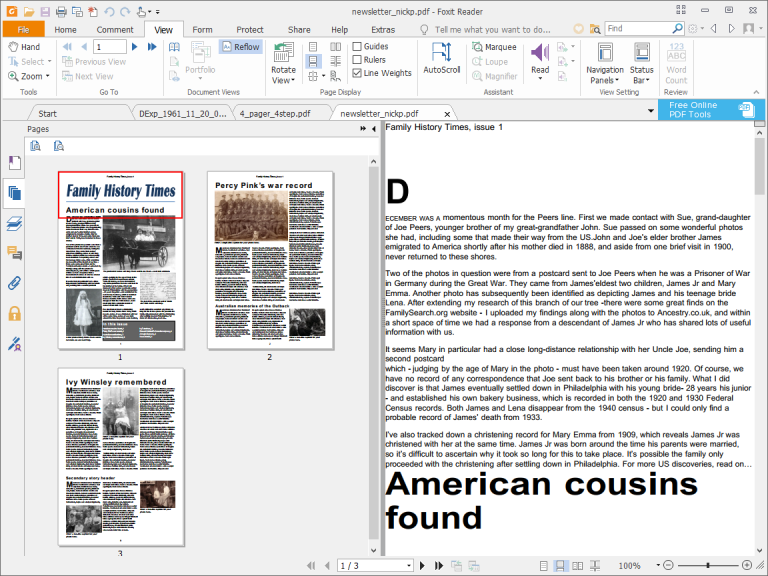 Foxit Software has released Foxit Reader 9.0, a major new version of its free PDF creation and reader tool for Windows PCs. The new release focuses on improving the program’s accessibility with new single-key accelerators among other changes, but also adds a new single-column Reflow view and features notable updates to the program’s commenting features and search tools. The headline new feature in version 9 is improved accessibility, with Foxit Reader now supporting single-key accelerators to access commands or perform specific actions. Examples include H to permanently switch to the Hand command, and Spacebar to temporarily switch. A new "Tell me what you want to do" box has been added, with users simply typing the command they wish to access into here and then selecting it from a list of matching items. A new Help Center has also been added, providing a searchable way to access online help. There’s an additional View option added in the form of Reflow. This presents the current PDF as a single-column document that’s the width of the current document pane to avoid horizontal scrolling on cramped displays. It also automatically reflows when magnified. The MSI install file also provides several advanced protection options, including Microsoft PDF V2 IRM Specification support. Also added are bleed mark and overprint simulation controls and greater control over digital signatures, including the ability to specify both font and font size. The Comment tools have been improved with added options for summarizing and exporting highlighted text in a TXT file, formatting text in the comment pop-up box, the ability to filter comments by author and the addition of two new statuses (Deferred and Future) to track comments that require further action. The Advanced search can now highlight all text search results as well as find instances that match any keywords entered. The PDF scan process has been streamlined to give users the option of creating a new PDF from a scan or appending it to an existing file. Other tweaks include PDF form enhancements, improved ConnectedPDF features and some other ease-of-use enhancements, plus the obligatory security and stability fixes outlined here. Foxit Reader 9.0 is available now as a freeware download for PCs running Windows 7 or later. Office 2007 or later is required for Office PDF creation features. Versions for MacOS and Linux are also available.